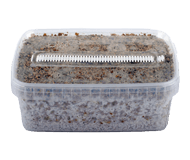 We sell different brands of magic mushroom grow kits; the MycoMate® and FreshMushrooms® magic mushroom grow kit. Important: We highly recommend starting the growing process immediately after receiving your magic mushroom grow kit. Please note: FreshMushrooms® recently changed their instructions and the images will be updated soon. 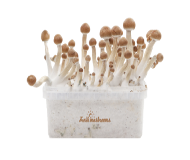 Please read the instructions on the product page of your FreshMushrooms® grow kit carefully to grow your Magic Mushrooms successfully.